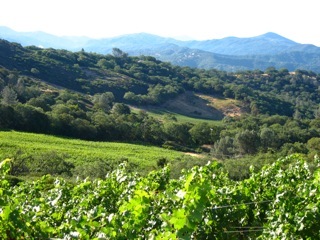 Silverwood Ranch: Home to the highest elevation vineyard in Sonoma County. LIKE PINE MOUNTAIN-CLOVERDALE PEAK AVA, Silverwood Ranch straddles both Sonoma and Mendocino Counties and includes the highest elevation vineyard in Sonoma County. 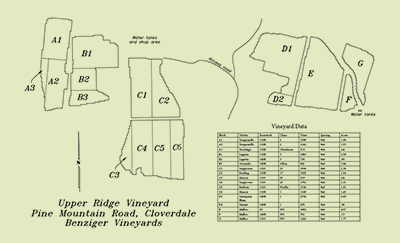 The 1,100 acre Ranch is home to Upper Ridge Vineyard, an award-winning vineyard of 30 acres, leased to Imagery Estate Winery (formerly owned by the Benziger Family Winery). 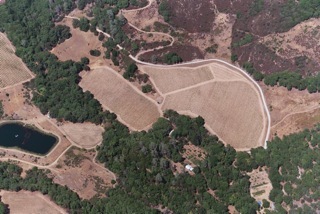 The Ranch also planted the 13 acre Silverwood Vineyard which the Hoffners farmed for Francis Ford Coppola Winery and subsequently sold to them in 2017 was renamed Archimedes Vineyard. Owners Barry and Jackie Hoffner wove together the Ranch over a period of about 5 years beginning in 2003 with a commitment to good land stewardship and use of best practices in sustainable farming for the developed acres of the Ranch. 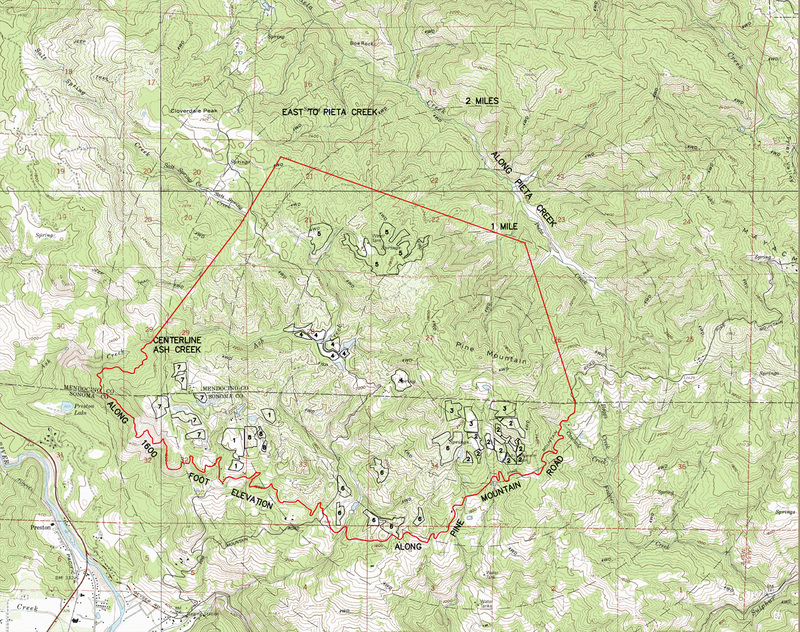 30 acres are planted to grapes; the remaining acres contain a vast array of natural and biological diversity  madrone and manzanita forests, rolling hills, springs and ponds, and elevation changes from 1,800'  3,000', culminating at the peak of Pine Mountain. The Ranch supports wildlife corridors for foxes, wild pigs, turkey, deer, mountain lion, bob cats, and bears and has received the Fish Friendly Farming accreditation by the California Land Stewardship Institute. Leased to and farmed by the Imagery Estate Winery, the Upper Ridge Vineyard encompasses 30 acres planted to 11 different high-elevation varieties including Sauvignon Blanc, Sangiovese, Tempranillo, Malbec, and Cabernet Sauvignon as well as several lesser grown varieties in our region including Lagrein, Teroldego and Tannat. 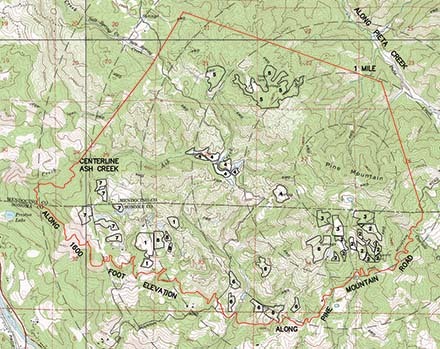 Nestled into the 1,100 acre Silverwood Ranch, the Upper Ridge Vineyard is on the southern and southwestern slopes of Pine Mountain. Developed as a playground of clonal experimentation, the vineyard has enjoyed incredible success in grafting both well-known and lesser-known varieties in this high-elevation setting. Reflecting a focus on stewardship and eco-responsible farming, the surrounding acres contain a vast array of natural and biological diversity—madrone and manzanita forests, rolling hills, springs and ponds, and support wildlife corridors for foxes, wild pigs, turkey, deer, mountain lion, bob cats, and bears. Imagery Estate Winery also produces Extra Virgin Olive Oil from the olive grove on Silverwood Ranch.